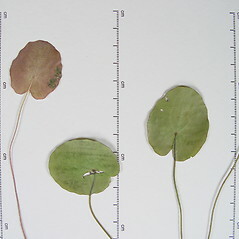 Yellow floating-heart is a Eurasian species that has become invasive in parts of North America, including New England. 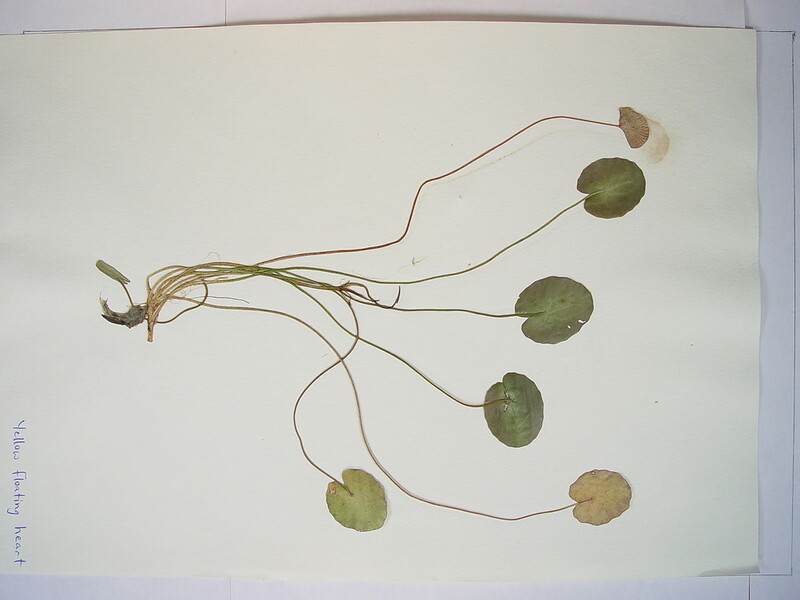 It is a popular water garden plant, but its use is banned in states where it occurs in the wild. 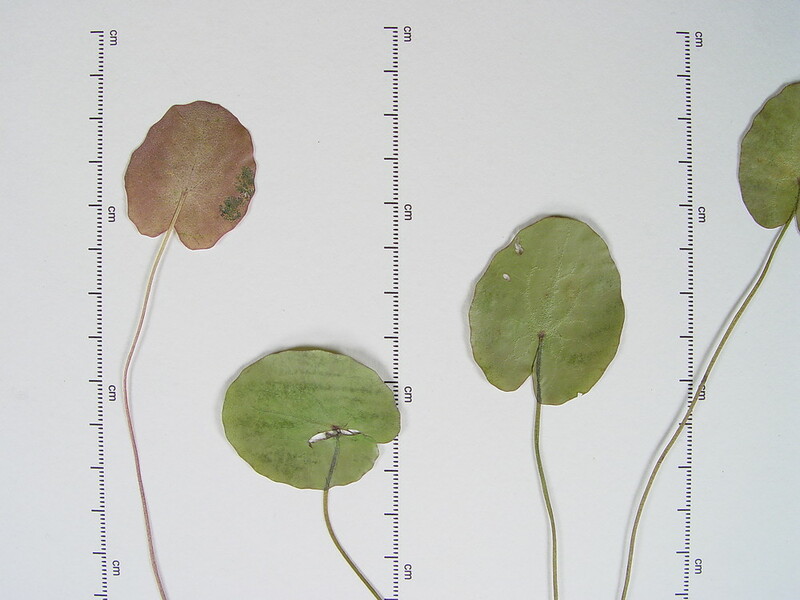 It grows in still or slow-moving water of lakes and rivers. corolla white, mostly 5–8 mm wide in life, the lobes not fringed on the margin, and some flowers usually replaced by a cluster of spur-like roots (vs. N. peltata, with the corolla yellow, mostly 20–25 mm wide in life, the lobes short-fringed along part of the margin, and flowers rarely replaced by spur-like roots). yellow floating-heart. Limnanthemum peltatum Gmel. 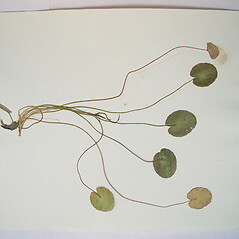 ; Nymphoides nymphaeoides (L.) Britt. • CT, MA, VT. Still or slow-moving water of lakes and rivers.